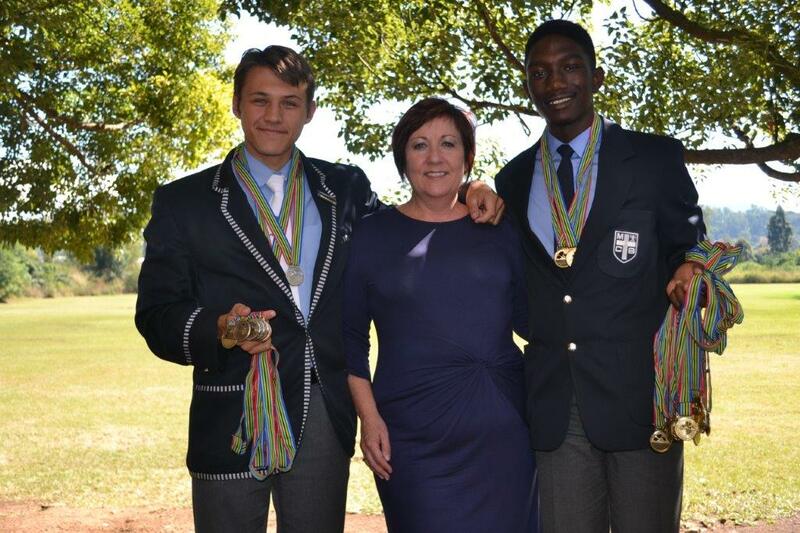 Seth Joubert and Alex Masina from Maritzburg Christian School (Here seen with principal Janine Hinde) did exceptionally well at the SA School Sprints in Swellendam recently. Alex came first overall and won the Victor Ladorum and Seth came third. They have both been selected to represent South Africa at the Junior and under 23 Kayaking Championships in Romania in July.